Katie Melua possesses one of the most sublime, enchanting voices of her generation, like that a Disney princess come to life straight off of the silver screen. It’s a gift she’s both embraced and challenged in her now decade-long career, most recently exploring orchestral pop as she did on her last album, Secret Symphony, and techno-inspired terrain as she did on the one before that, The House. 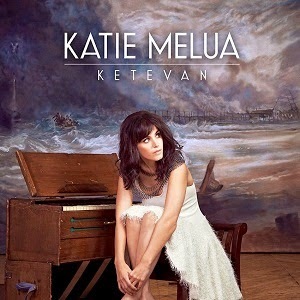 With her sixth and latest studio LP, Ketevan (Dramatico Records) — its title is the Georgian-born Melua's given first name — she recalls the demure grandeur of her debut, Call Off the Search, collaborating as she did then with longtime manager, singer/songwriter Mike Batt (formerly of the Wombles), on a ballad-rich song cycle tailor-made to her talent. Between moments of unguarded emotion (“Never Felt Less Like Dancing,” “I Never Fall”) and ones spiked with a little mettle and sass (“Love Is a Silent Thief,” “Idiot School”), Melua finesses each lyric, each syllable and breath, with utterly stunning command. In fact, everything that is exceptional about Melua’s artistry is reflected on this album.